Pachmarhi hill station in Madhya Pradesh is located at a height of 1067 feet, and is considered to be one of the best hill stations offering a wonderful view of Mother Nature. Often, it is also known as the Queen of the Satpura Ranges (Satpura ki Rani), and is basically a hill station in the shape of a saucer. The entire hill station is surrounded by the mighty hillocks with a flat and huge contour. There are flinty hills, sylvan forests and deep gorges in this hill station. 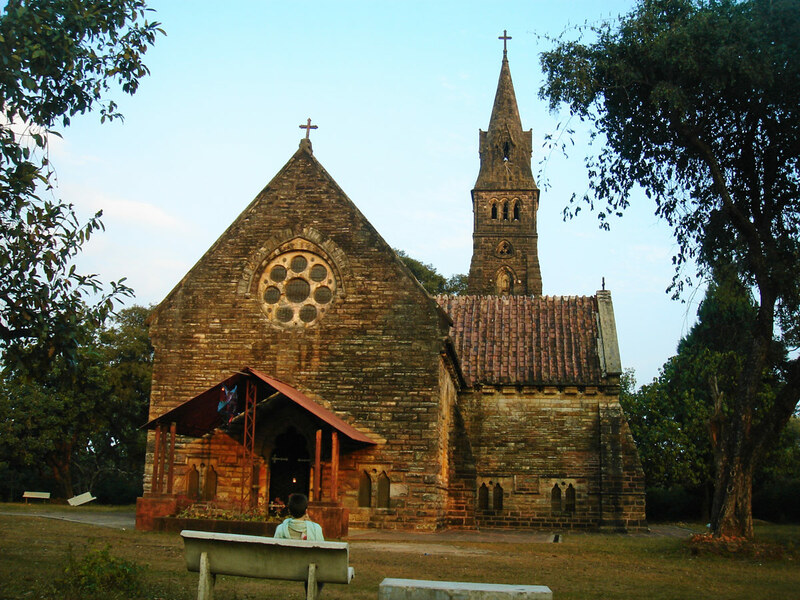 Pachmarhi sightseeing : There are plenty of places to visit in Pachmarhi hill station. 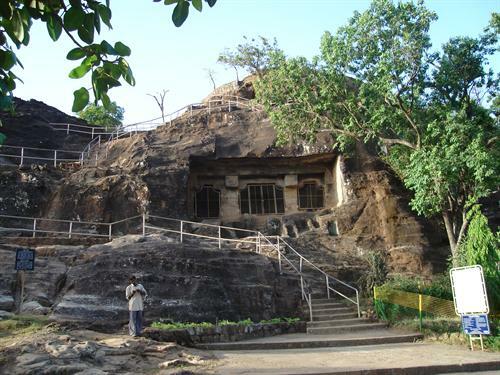 These caves are basically placed on a tiny hillock, and it is believed that the Pandavas took shelter in these caves. These are basically rock cut caves and offer amazing views of the entire cave structure. There are five caves here located side by side , and the cleanest of them in the Draupadi cave. This is one of the most marvelous gorges at a height of about 300 feet in the midst of a dense forest. This is in fact a beautiful place, and is believed to be place of Lord Shiva. This place is also associated with mythology. The beauties of nature can be best viewed from here. This is a magnificent fall with spectacular views. 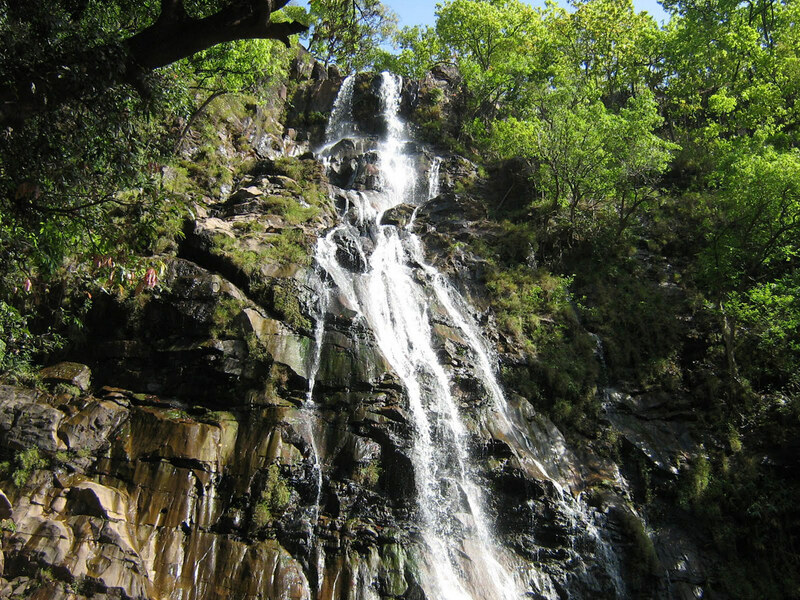 At the same time, this falls also offers the greatest source of drinking water to the people here. Trekking over the stones and the rocks is also the most amazing experience in these falls. This peak is situated at a height of 1326 metre. It is also one of the most celebrated centers of pilgrims in this location. In addition to that, it offers magnificent views of the valleys, dense forests and hills. An idol of Lord Shiva is also situated at the top. Railway : Pipariya railway station is about 55 km from Pachmarhi. Roadway : Well connected by road with Jabalpur, Bhopal, Nagpur and other nearby cities.